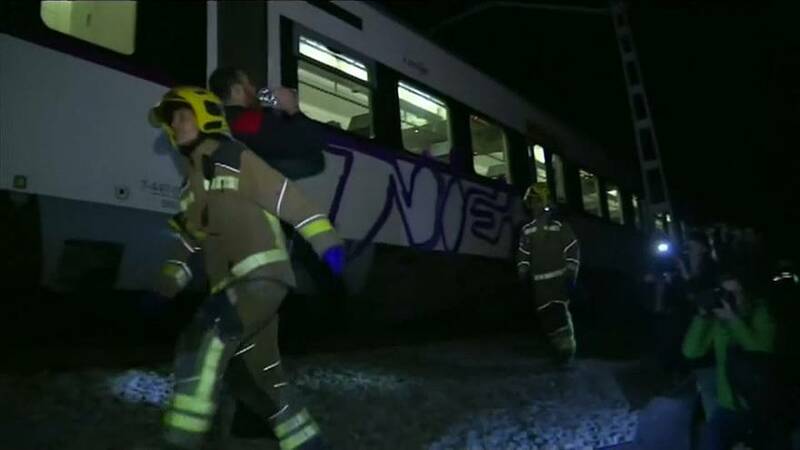 Two passenger trains in north-eastern Spain have rammed each other head-on during Friday evening's rush hour. One train driver died and three other people were seriously injured in the crash near Barcelona. The Catalan authorities said around a hundred others were also injured, mostly only slightly. The commuter trains collided at 6.20 pm local time between two towns northwest of Barcelona, the emergency services for Catalonia said in a tweet. Despite the force of the collision neither train was derailed. Around a hundred other passengers were completely unurt. The crash caused the R4 train line to close and stranded many passengers.